Blazing in Beerwah, Beerwah Flowers & Gifts are a gift from above, offering prompt, same-day delivery to an array of local destinations, including churches and places of religious worship, cemeteries, funeral homes, medical centres, retirement villages, hospitals, and nursing homes. We offer delivery to a wide range of local hospitals and medical centres, among which are Lake Kawana General Practice, Advanced Health Pain & Injury Clinic, Caboolture Private Hospital, The Prince Charles Hospital, and Golden Beach Medical Centre. Further, we deliver to many churches and religious organisations, such as Glasshouse Country Baptist Church, St Mark�s Anglican Church Buderim, Churches of Christ in Queensland, St Michael�s Catholic Orthodox Church, and Sunshine Coast Christian Spiritualist Church. Among the cemeteries and funeral homes that we service are Albany Creek Cemetery, Buderim Lawn Crematorium and Memorial Gardens, Gregson & Weight Funerals, Mt Thompson Memorial Gardens & Crematorium, and Ipswich General Cemetery. We also deliver to a variety of nearby nursing homes and retirement villages, including Bribie Island Community Options, Bromilow Home Support Services, Inclusive Support Service, A Silver Troopers, and Paddington Place Retirement Village. 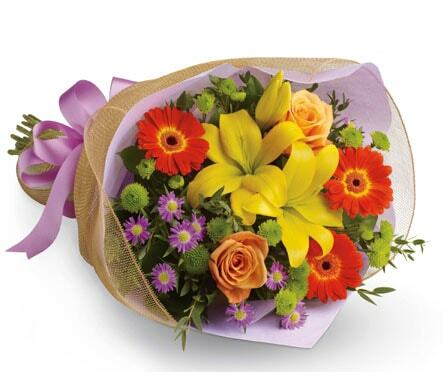 Beerwah Flowers & Gifts are the gift the keeps on giving: giving you smiles, giving you joy, and giving you laughter. Our beautiful bouquets and pretty petals are perfect for any special occasion, allowing you to party harder than ever before. In particular, our �Birthday� assortments are a sweet treat on your big day. For that amazing someone who�s always on your mind, try �Pinking of You�. A joyful harmony of soft pink roses and lovely lilies, hand wrapped in a gorgeous pink bow and sealed with a kiss, as soon as you see this ravishing collection, pink will be your new favourite colour. 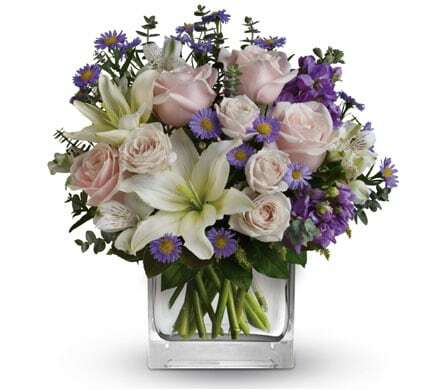 Welcome your new baby to the world with �Purest Intentions.� Classy and classic, this assortment of snowy, white flowers in a clear glass vase will fill anyone with delight. Let your baby see that this world is the place to be! A rural town hidden in the Hinterland of the Sunshine Coast, Beerwah will wow you. The name Beerwah comes from the Indigenous Kabi language, combining the words birra, which means sky, and wandum, which means climbing up. Situated in the scenic Glasshouse Mountains, Beerwah is home to over 5,000 residents, while the main road in Beerwah is called Steve Irwin Way. Most notably, Beerwah is home to the Australia Zoo, making it a hugely popular area for tourists.